So you’re an agent of death and you’ve been sent to save the world. What’s the first thing you do? … find a target and start killing. This left-of-field concept is the juice behind the graphic novel Endtime: The Arrival, by Tim Kenyon. Endtime is the first in what promises to be an intriguing series which explores what happens when you do the wrong thing at the wrong time for (what you thought were) the right reasons. (At least that was my excuse when I once was caught writing my name in the fresh cement out the front of the school bus depot*). Endtime is best categorised as an ‘amysterygeddon’ (get it? Mystery, armaged… ahh, never mind). Kenyon has thrown a little taste of everything into the pot – World War One, police procedural, medical drama, mystical powers, New World Order conspiracies, even superpowers. Stir in a hint of fascist United States government and you’ve got yourself a paranormal feast. All jokes aside, this story is ultimately about compassion and consequences. The aforementioned Jack Kurgan kills not for pleasure, not for duty, but for compassion; he is the angel of mercy. He releases people from their suffering, but the ‘powers that be’ make it clear that he is missing the bigger picture and risking everything. In Endtime, Kenyon shows that compassion is not always the right choice. It might feel good and help you sleep better, but doesn’t always let you make lemonade. 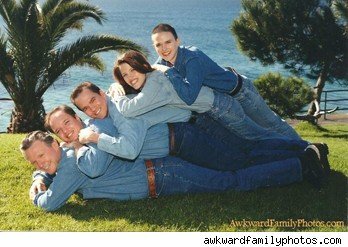 Sometimes choices can fall into the ‘it seemed like a good idea at the time’ category, just like getting matching haircuts, agreeing to a family photo, matching hats, a family sandwich, or …seriously, why do people do this? So when is doing the right thing actually the wrong thing to do? And who decides? By questioning Kurgan’s motives, Kenyon examines our own relationship with death. While many people fear death, some actually welcome it. Ultimately, no one can know or understand their own Endtime until their own end approaches… especially if it’s for the wrong reasons. The one word which keeps coming to mind when I think about Endtime is ‘mystery’, in the sense that I had to read the novel a couple of times to fully grasp all the elements of the story. Now I realise that some readers will score this as a black mark, but for me this wasn’t a negative; there are so many story threads and thematic undercurrents that it took me a couple of passes to try and knit them all together. Endtime is a graphic novel, so I’m going to talk briefly about the art. The artwork and visuals are of high quality with a subdued colour palette and a stark but detailed flair which complements the story. Hey, I’m no artist, but I know what I like, and I like this. For me, a minimalist art style in a graphic novel is like reading a novel without any adjectives. (Actually, when I first saw Endtime I thought it was Bruce Willis on the cover, and an A-New-Hope-era Mark Hamill on the back, so what do I know?). I discovered this project on the mighty Kickstarter –and Endtime did not disappoint. Before I finish, I do have to mention one particular ‘WTF’ moment in the prologue involving an angelic kid and a shotgun. It caught me off guard – and from that moment I was hooked. I’m looking forward to Endtime book 2. * I would have gotten away with it if I hadn’t included my phone number.